Horus Heresy. 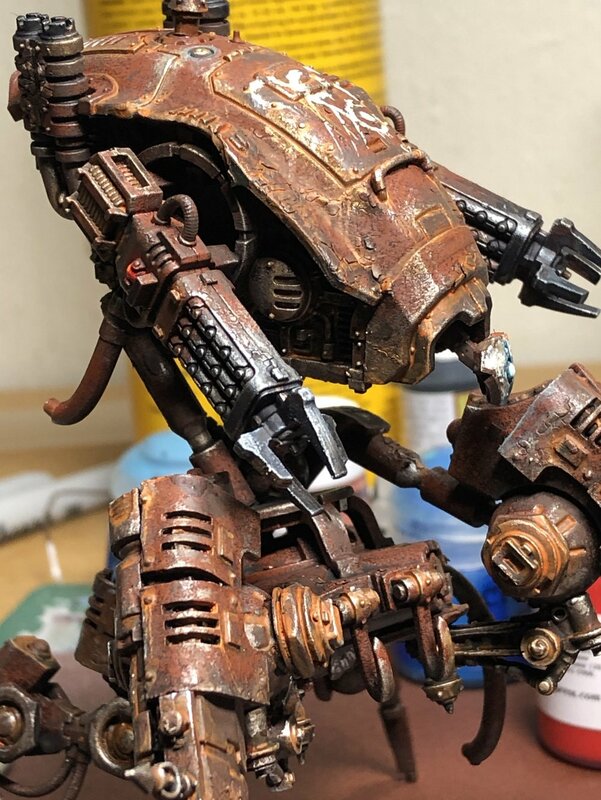 Iron Warriors. Terminators. Update. Part2. Here is the final result of my update. And with this unit done, I feel that my 3000p armored breakthrough list is done. I will be posting some pictures and info about the list in the future. I am also thinking about how to expand the list to 3500p if I will run it at the AJAX 2 event this summer. Necrons. Catacomb command barge. Conversion. Part7. 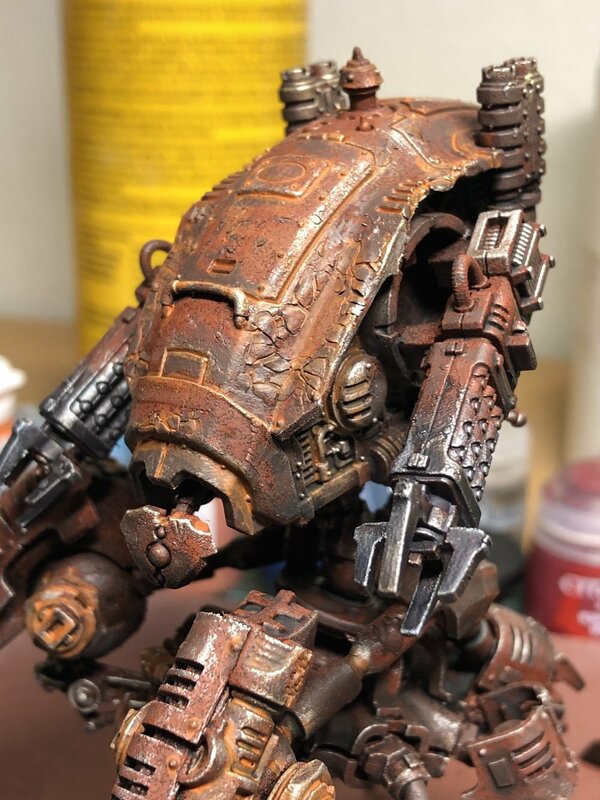 The last step is simply to add some “rust strips” in a similar color as the rust effect. I used P3 Khador red highlight. It is pretty close to ryza rust if applied gently. Here we also have a family photo :) . Necrons. 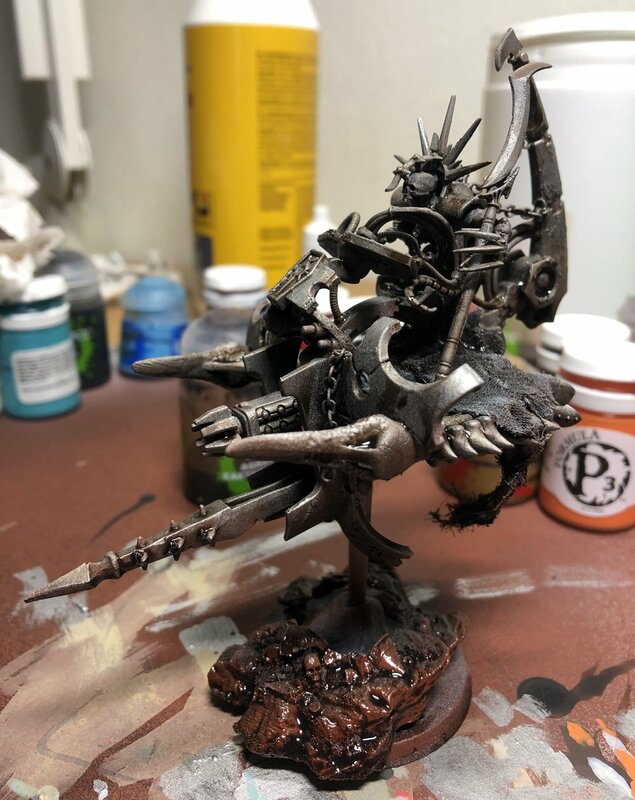 Catacomb command barge. Conversion. Part6. Now it is time for some details before I start highlighting. I am not going to go over exactly how I do these details. But if anyone wants to know about specific things I will cover it in a later post. I have however added some black wash to areas that would be covered by shadow. So essentially darkening the areas that won’t get direct light on them. Necrons. 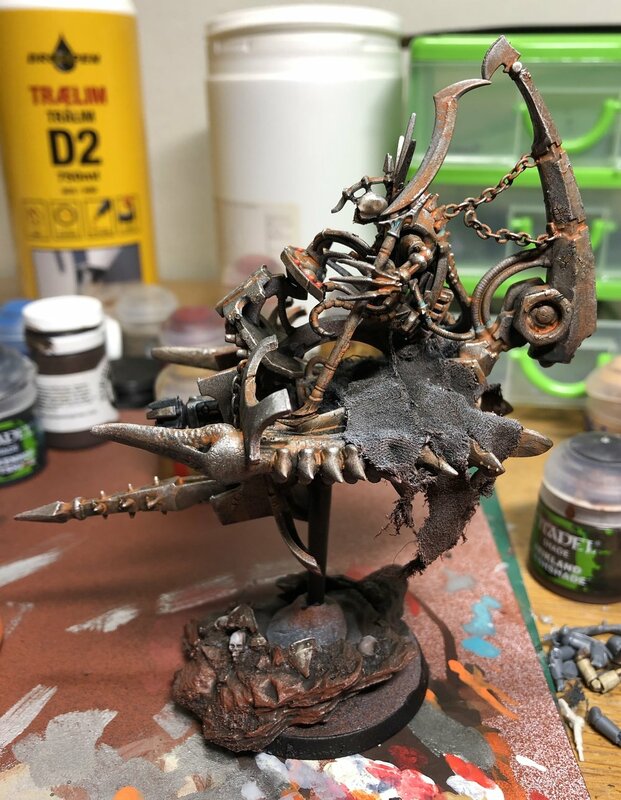 Catacomb command barge. Conversion. Part5. 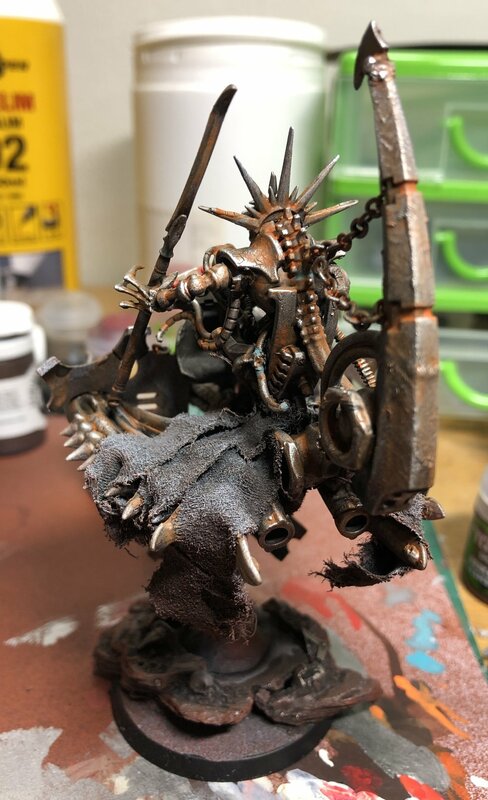 Next small step is to add some easy highlights and to break up some of the rusty areas. I do this by very lightly dry brush a very light silver on the model. This step takes a little longer than just dry brush the whole thing. I constantly try to think about very I want to break up the rust effect and where I want high lights. Necrons. 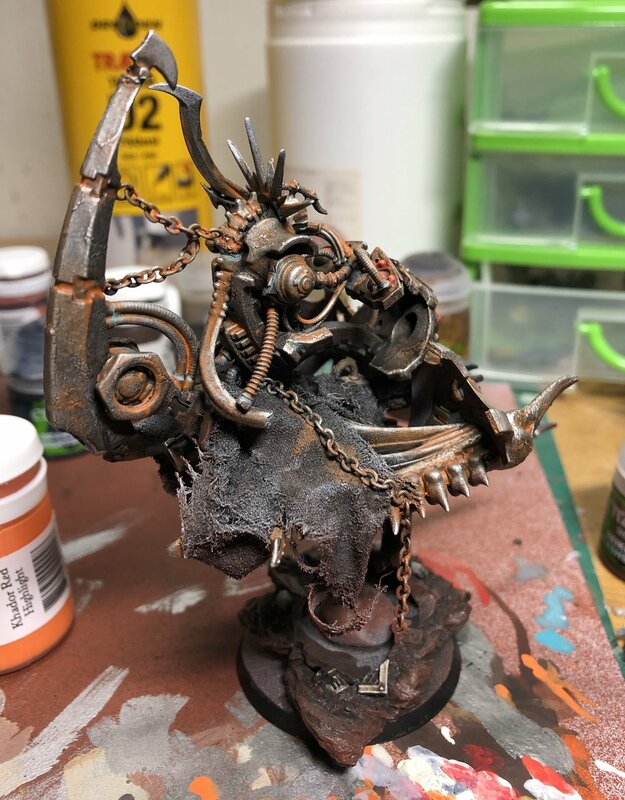 Catacomb command barge. Conversion. Part4. Today was rust Sunday :) . 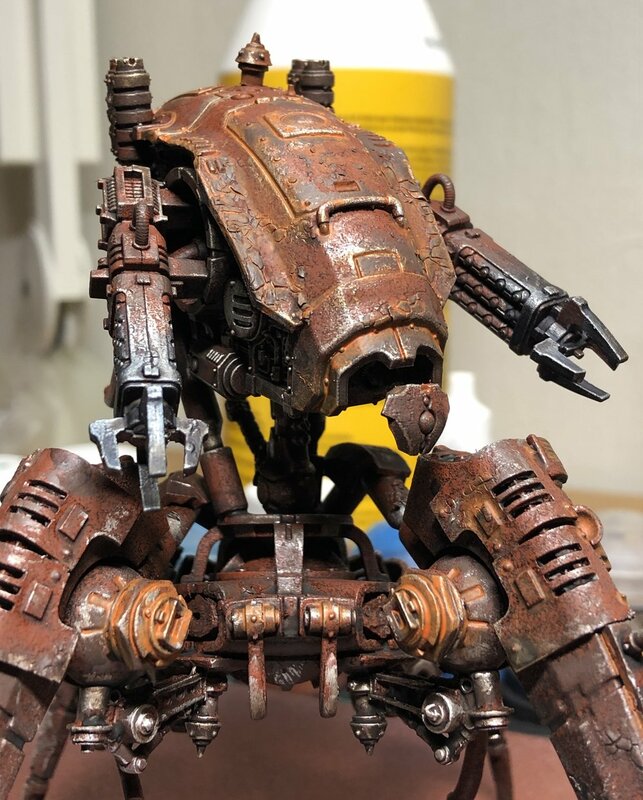 There is many ways to apply rust. Pigment powder might be the most common. 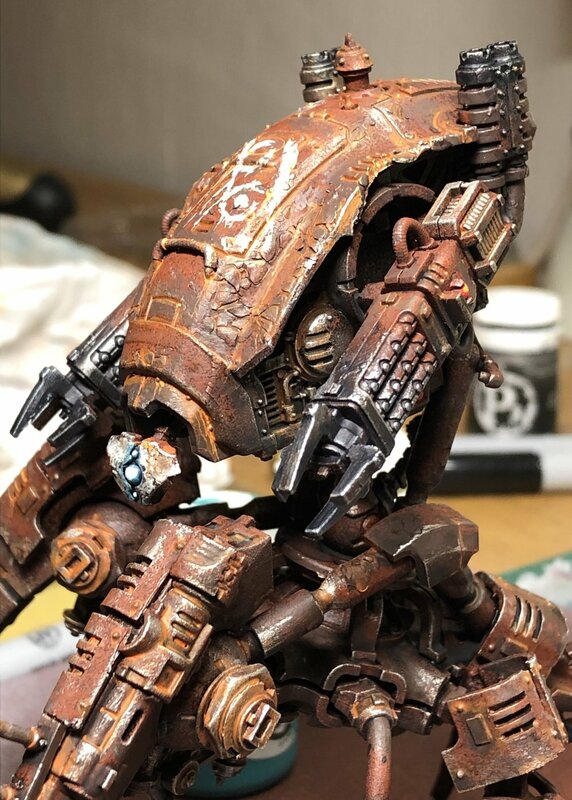 I like to use Ryza Rust from citadel. It is a dry paint. How I use it varies between what outcome I want. Most of the time I add some water to the paint on the brush. I find that this creates almost the same effect as pigment powder. Necrons. 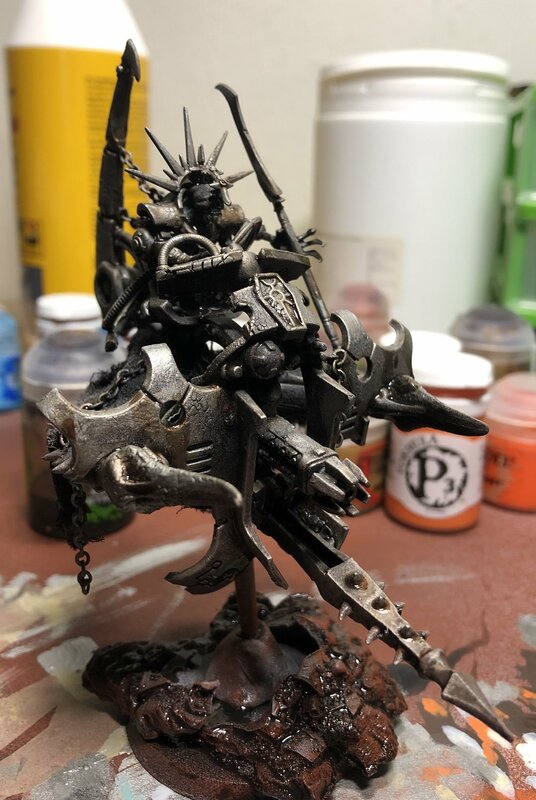 Catacomb command barge. Conversion. Part3. So far the painting process is quite straight forward. The washing of the model is no different. 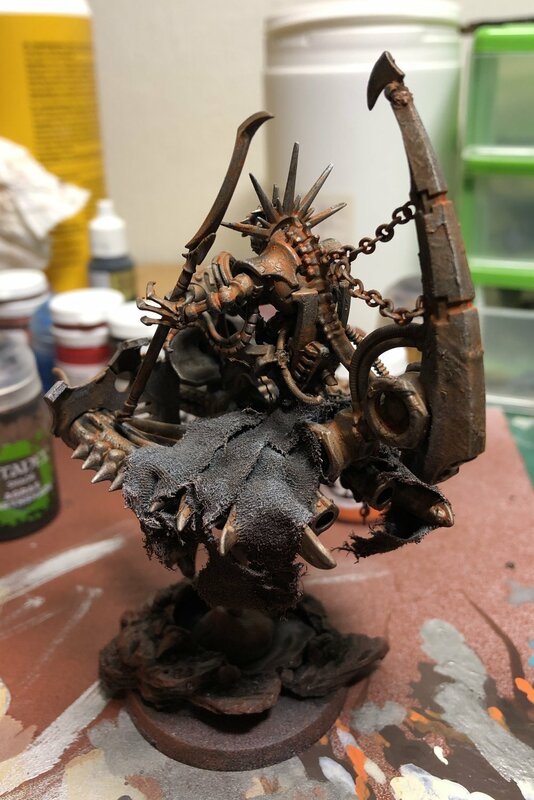 Here I wash the model with Agrax earthshade. I try to imagine that the light is coming directly above the model. That means that I try to go light with the wash on the top surfaces and heavier at the bottom. Wipe of some of the pools and some on the bigger panels. I tend to use the wash, not only to bring shade but also texture and striping. 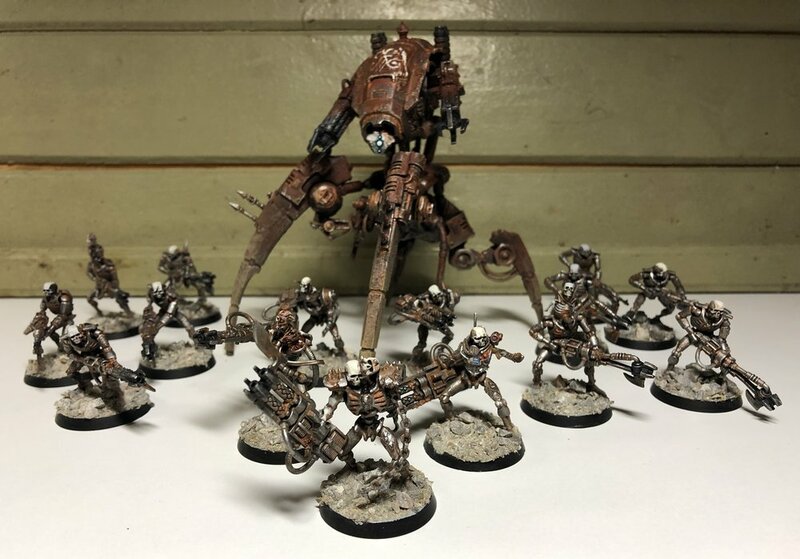 Necrons. 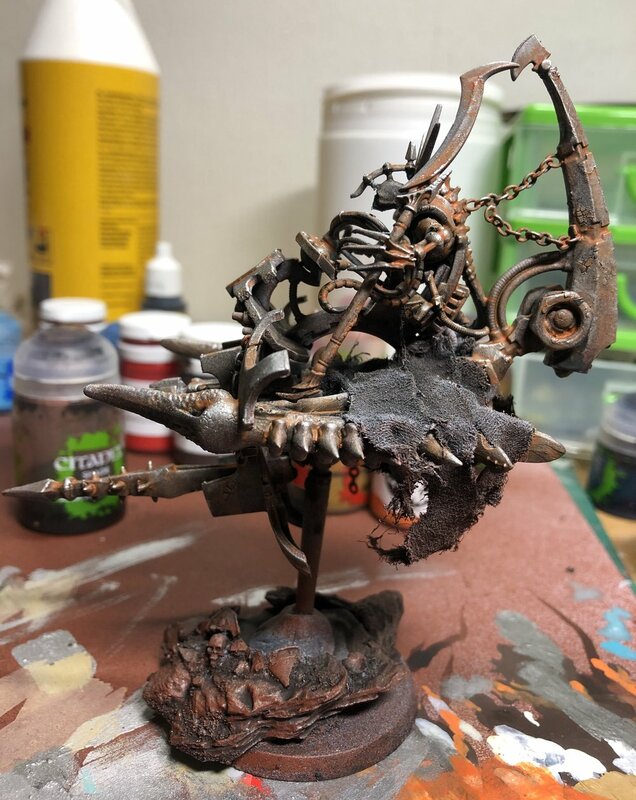 Catacomb command barge. Conversion. Part2. 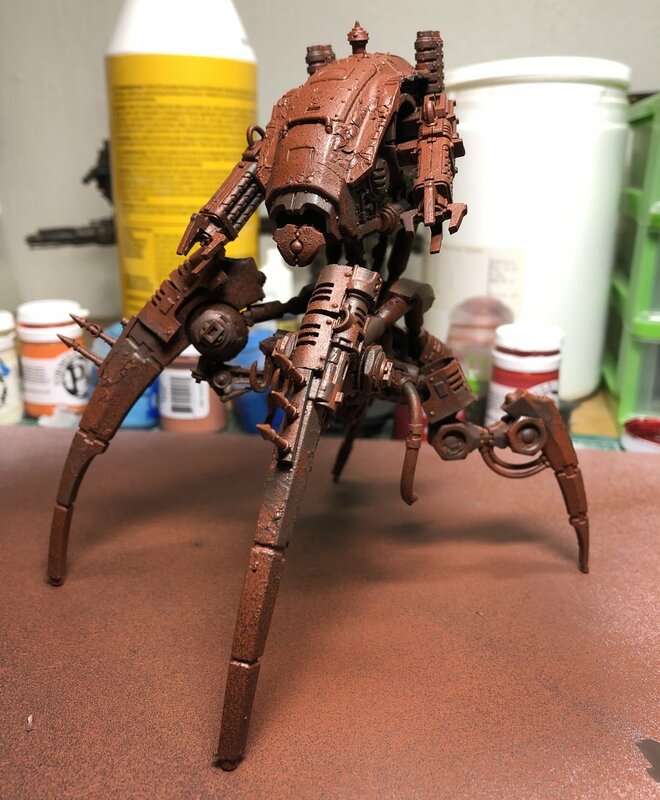 So, I thought I could make a step by step tutorial on how I paint up my necrons after a couple of requests. There is nothing complicated about this process and it is not a secret :) . So for today I first based the model by first spray black then white and finally some rust brown/red. Next I dry brushed the metal parts with a darker silver, ending up like this. This is where I end the model tonight. Hopefully I will find some time to paint the next step tomorrow :) . Necrons. 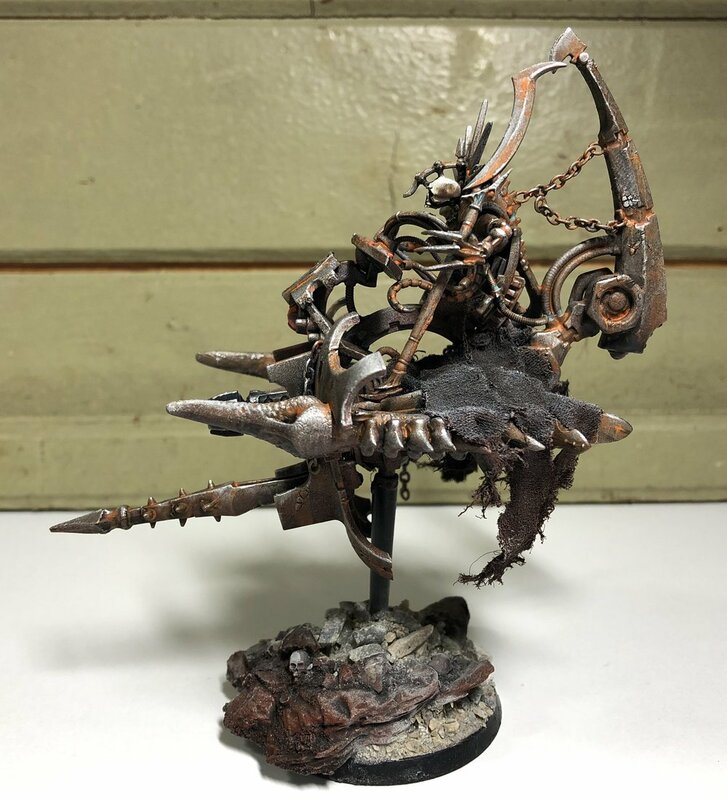 Catacomb command barge. Conversion. Part1. I can’t really stop working on my necrons. It feels like this was a great break from all other projects that I have going. So I will continue until I run out of inspiration or parts :) . Of course I need to add a command barge to my small force. It took some time to convert, but now when it is done I think it turned out rather okay. 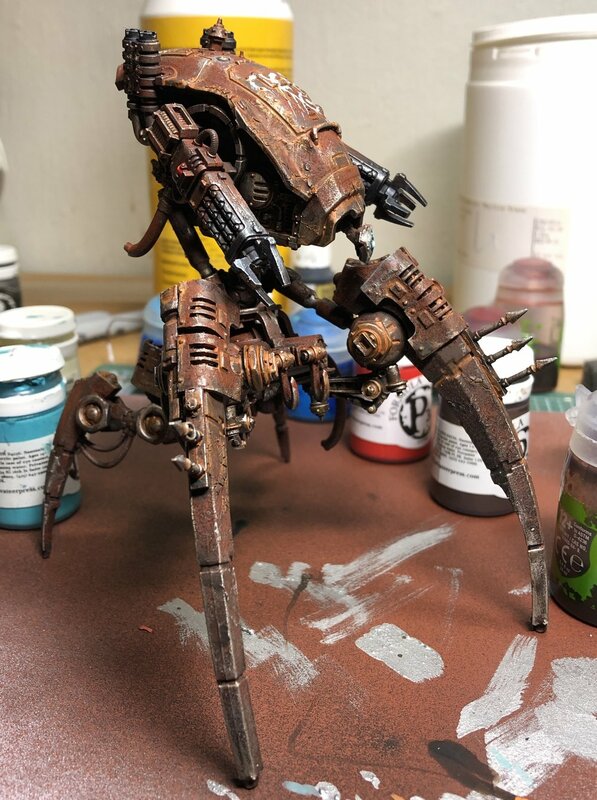 Necron Stalker. 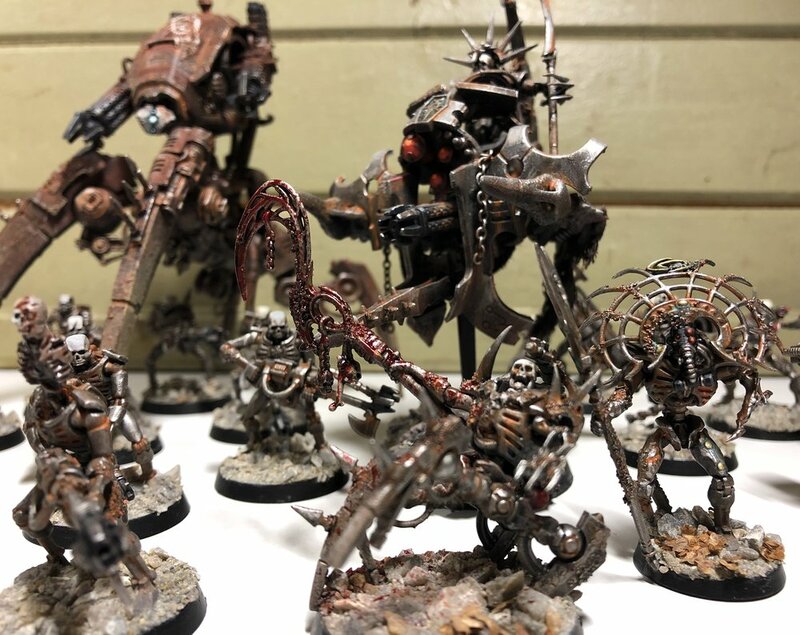 Necrons Warhammer 40k. Conversion. Part4. I think I will call this one finished now. 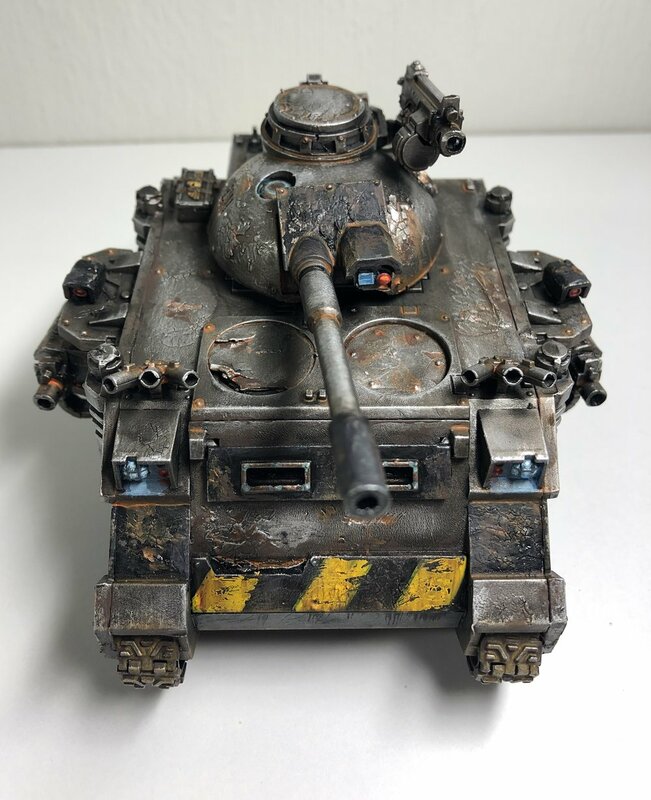 Great fun conversion. We will see what I will be doing next. I am pleased that my little necron force is growing :) . Almost finished just some small stuff left to do and some dirt to be added :D .
Slowly getting there but still a lot more to do. Yes yes yes I know I know I know. 2019 starts more and more look like the year when I say I am going to do one thing and then turn around and starts do something els. But as long as I am having fun, I don’t see a problem. 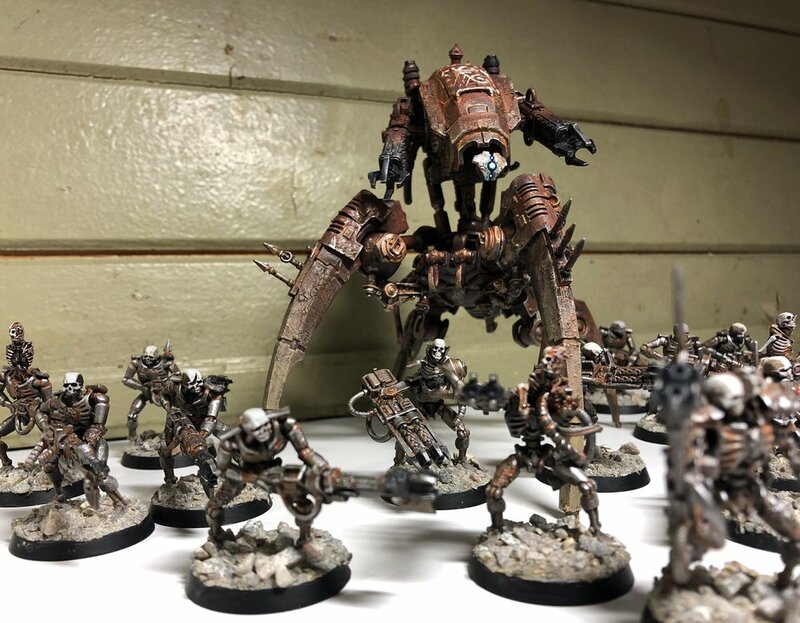 Now, it is time to bring some walkers to my necron force. 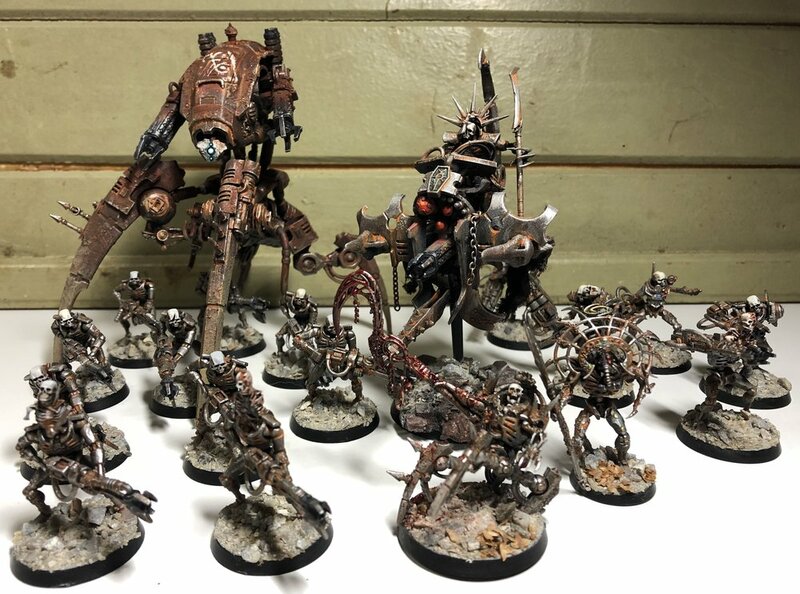 I have decided to bring my necrons up to about 1000p in 40k. If I will play 40k or not is not decided. But I will probably try it out with this force once it stands ready. 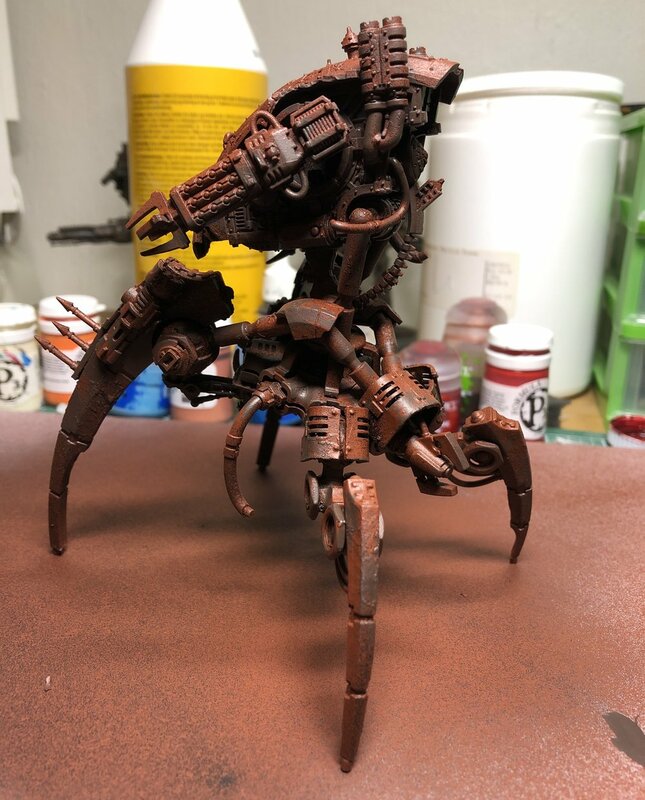 First dedicated 40k model is my take on the necron Stalker :D .